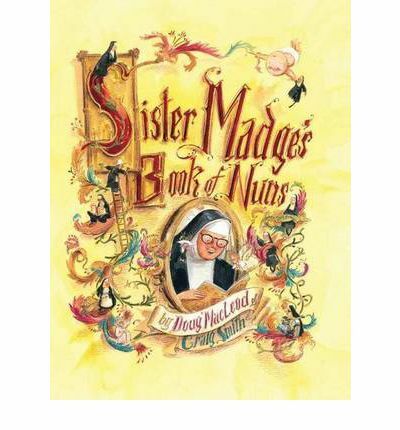 Unless of course you happen to know any of the nuns contained within the poetry of Sister Madge’s book. Sister Bossy likes to tell people off, Sister Isobel is a little careless with children in her care, Sister Stephanie rides with a motorcycle gang and Sister Laurel has a bad habit involving snuff. This is a wonderful collection of poetry by Doug MacLeod and to be honest I have a fondness for them, especially Sister Ginger who met the cannibals. I first came across these when studying speech and drama and Sister Ginger was one of the poems I had to learn. They are so much fun, who doesn’t like to read about bikie nuns and plants that talk back. The illustrations amusing and perfectly suit the tones of of the pieces. If you are looking for something really fun and just a little different then definitely give this a shot, it is bound to brighten up your day.